Summer Swimming Sign-up Ready, Set, Go! Spring Session went so well. Over 110 kids/adults took part in our lessons and workouts. 3. DIVING PROGRAM is back for 10 years old and up. 4. 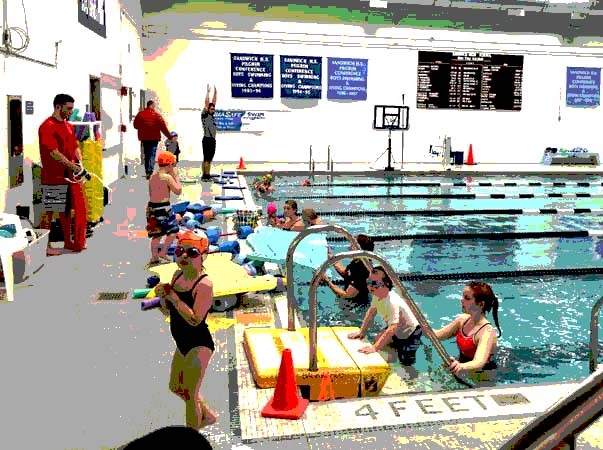 MASTERS SWIM PROGRAM is back on Tues /Thurs night from 5-6PM. 5. Water Aerobics on Mondays/Wednesdays. Below are three documents you can view and download to help you “Jump into the Pool” with Trish Cundiff and her great staff.